Jack Christensen has everything he ever wanted. He’s a rising star in US Diplomacy, the youngest man to have been appointed as an Ambassador of the United States. 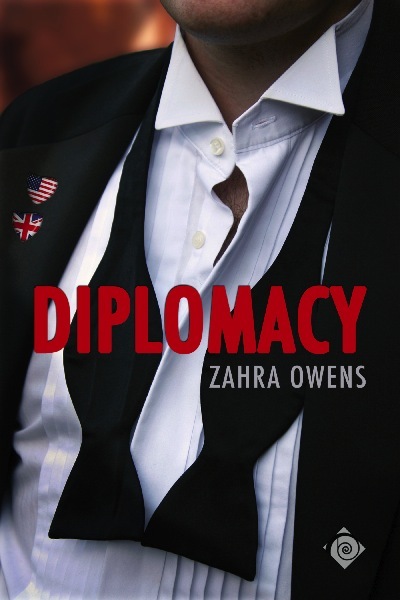 A career diplomat who’s just been sent to a politically interesting Embassy in Europe, he has the perfect wife, speaks five languages and has all the right credentials, yet there’s something missing and he doesn’t quite know what. Then Lucas Carlton walks into an Embassy reception and introduces himself and his American fiancée. From the first handshake, the young Englishman makes an impression on Jack that leaves him confused and uncharacteristically insecure. Lucas’ position as the British liaison to the American Embassy means they are forced to work together closely and they have a hard time denying the attraction between them, despite their current relationships. When their women decide to go on a weekend trip together, Jack and Lucas start a passionate relationship, which continues long after their partners return. Diplomatic circles are notoriously conservative though, and they each know that the right woman by their side makes a very significant contribution to their success. Will they be able to make the right choices in their professional and personal lives? Or will they need to sacrifice one for the other?